Agartala, February 9: Laying foundation stone of various developmental projects in Arunachal Pradesh, Prime Minister Narendra Modi visited Assam where he clearly assured the people of Assam that the Citizenship Bill will not harm them not believe in the rumours spread by opposition. On his next visit for the day, PM Modi in Tripura asserted that his government in New Delhi “works with good intention.” He said the people of the country will teach the opposition parties “a lesson for peddling lies”. 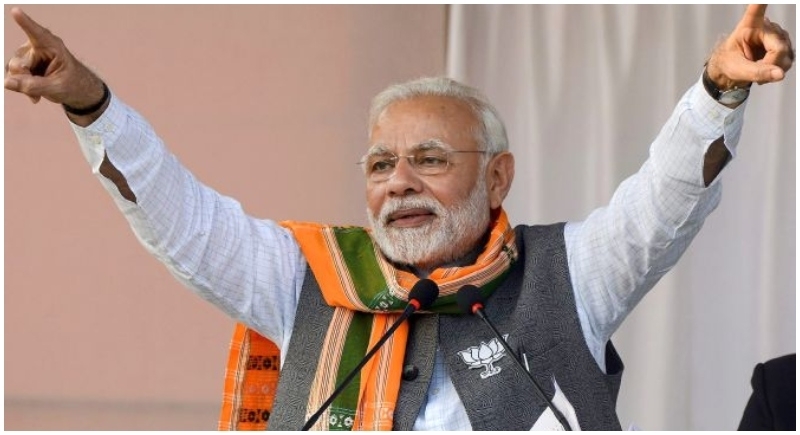 PM Modi lashed out at the parties working for opposition unity reiterating his charge that this is a ‘mahamilawat’ (highly adulterated) that favours “middlemen” in the government. “They are trying to form a ‘majboor’ (weak) government in Delhi. They are worried about the present ‘majboot’ (strong) government,” PM Modi said.